The Washington D.C. Program lets high school students with cancer learn about government and become empowered as survivors. 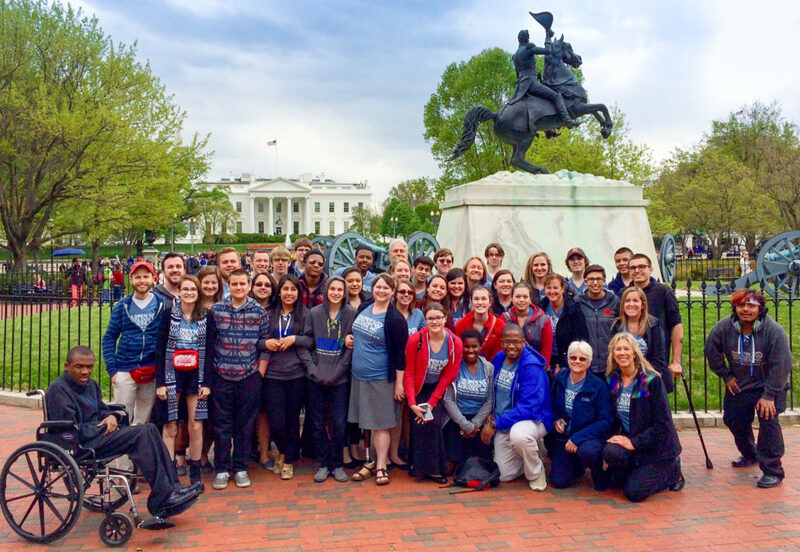 Students get an insider’s look at our government in action, as they spend a week in our nation’s capital participating in seminars, meeting with Congressional leaders and touring Washington’s landmarks, museums, and monuments. Students will be inspired as they develop a true understanding of our democracy and realize the power and responsibility they have as citizens and cancer survivors. Particular attention will be paid to the issues that affect them the most, including health insurance eligibility, educational opportunities, employment bias and long term health considerations. *Note: the Washington D.C. Program is held every other year.